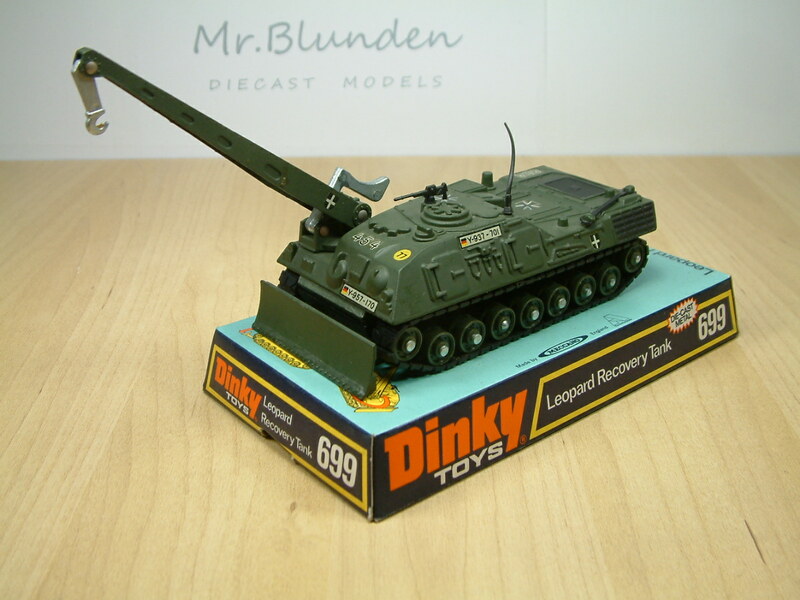 ← Dinky 282, Land Rover Fire Appliance. 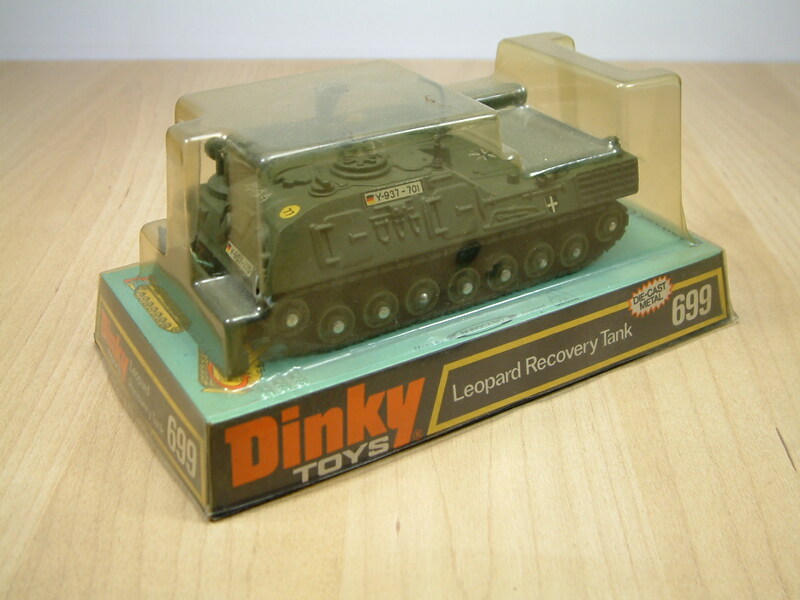 Dinky 699, Leopard Recovery Tank. 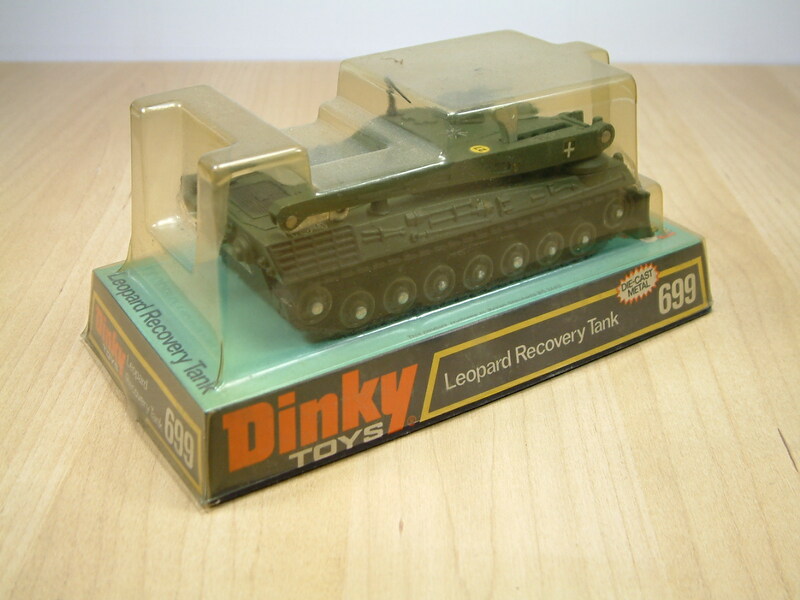 This is a Dinky 699, German Army Leopard Recovery Tank, in blister packaging. 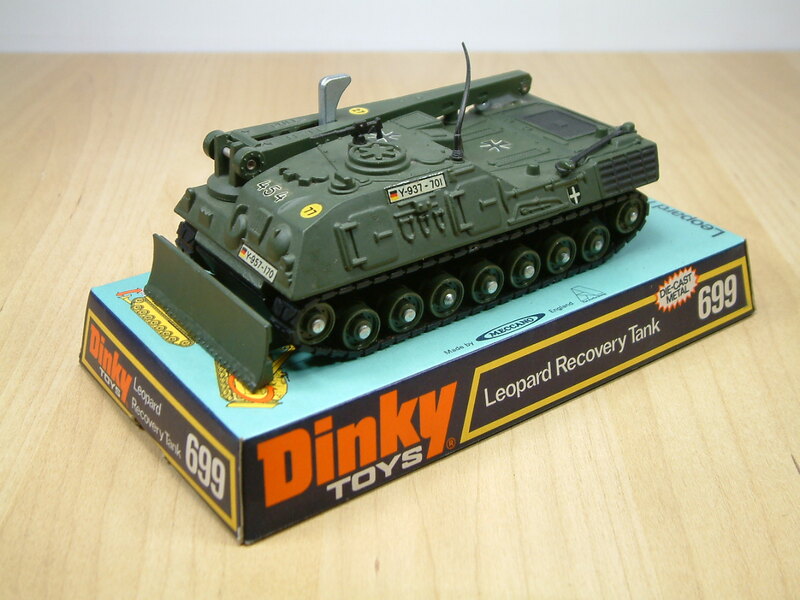 An unusual version of the Leopard Tank, no firepower, instead used to rescue / recover other tanks that have for whatever reason run into trouble. This model was produced 1975 to 1977. 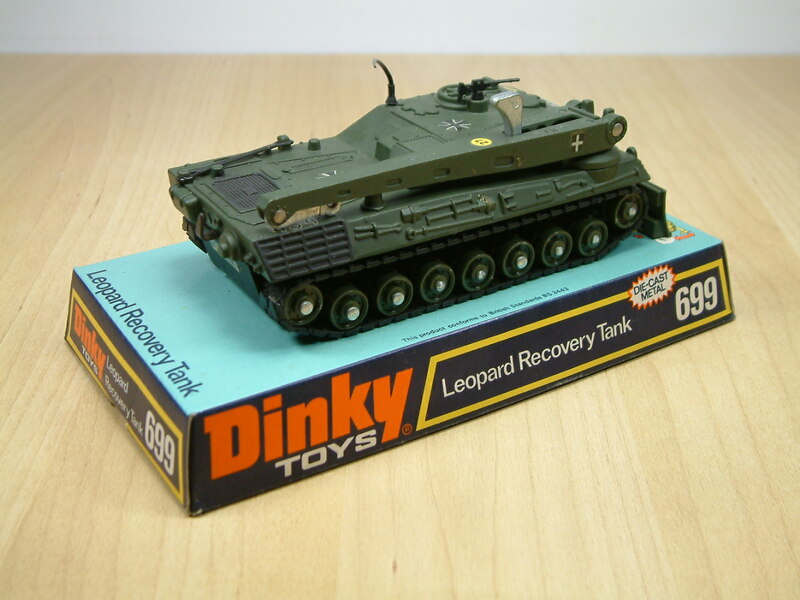 This entry was posted in Military and tagged Battlefield, Dinky, German Army, Leopard, Recovery., REME, Tank. Bookmark the permalink.